Why have we turned our backs on the principles that this nation was founded upon? Many of those that founded this nation bled and died so that we could experience “life, liberty and the pursuit of happiness”. And yet we have tossed their ideals aside as if they were so much rubbish. 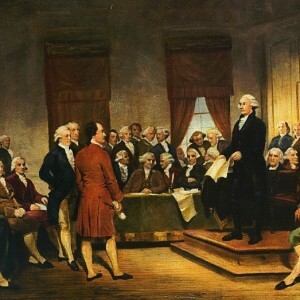 Our founders had experienced the tyranny of big government (the monarchy) and the tyranny of the big banks and feudal lords, and they wanted something very different for the citizens of the new republic that they were forming. They wanted a country where private property was respected and hard work was rewarded. They wanted a country where the individual was empowered, and where everyone could own land and start businesses. They wanted a country where there were severe restrictions on all large collections of power (government, banks and corporations all included). They wanted a country where freedom and liberty were maximized and where ordinary people had the power to pursue their dreams and build better lives for their families. And you know what? While no system is ever perfect, the experiment that our founders originally set up worked beyond their wildest dreams. But now we are killing it. Why in the world would we want to do that? Most people are under the illusion that the United States has a “capitalist economy” today, but that simply is not accurate. At best, we have a “mixed economy” that is becoming a little bit more socialist with each passing day. We pay dozens of different types of taxes each year, and some Americans actually end up giving more of their earnings to the government than they keep themselves. But that is still not enough, and so our state governments have accumulated astounding amounts of debt, and our federal government has amassed the largest single debt that the world has ever seen. If future generations of Americans get the chance, they will curse us for the chains of debt that we have placed upon their shoulders. So what do our government officials do with all of this money? Well, today approximately 70 percent of all federal government activity involves taking money from some Americans and giving it to other Americans. Despite this unprecedented wealth-redistribution program, poverty is absolutely exploding in this country and 49 million Americans are dealing with food insecurity. Meanwhile, the bankers have been getting fabulously wealthy from all of this debt. The Federal Reserve system was designed to trap the U.S. government in an endless spiral of debt from which it could never possibly escape, and that mission has been accomplished. In fact, the U.S. national debt is now more than 5000 times larger than it was when the Federal Reserve was first created a little more than 100 years ago. Most people like to think of big banks as “capitalist” institutions, but that is not really accurate. In the end, giant corporate banks like we have in the United States are actually collectivist institutions. They tend to greatly concentrate wealth and power, and socialists find those kinds of banks very useful. While there may be a bit of animosity between big government and big banks once in a while, the truth is that they are usually very closely tied to one another. We saw this close relationship very clearly during the financial crisis of 2008, and it is no secret that there is a revolving door between the boardrooms of Wall Street and the halls of power in Washington. The elite dominate both spheres, and it is not for the benefit of the rest of us. In America today, government just keeps getting bigger and the banks just keep getting bigger. Meanwhile, the percentage of self-employed Americans is at an all-time low and the middle class is steadily dying. What we are doing right now is clearly not working. So why don’t we go back and do the things that we were doing when we were extremely successful as a nation?